Kashmir Valley celebrates tourism week with the mesmerizing Shikara festival held at the world famous Lake Dal. Hundreds of boaters took part by giving tours on the lake where the tourism department gave live performances of traditional Kashmiri songs. Based in the Chitrkoot district of Utter Pradesh, one of the most underdeveloped places in India, a creative small-town tribal woman named Meera launched a local paper "Khabar Laheriya" (Wave News) which began as a way for women to address sexual violence, gender issues and education. Voodoo Doll: An interpretive dance piece performed at Contemporary Dance Night in Egypt. 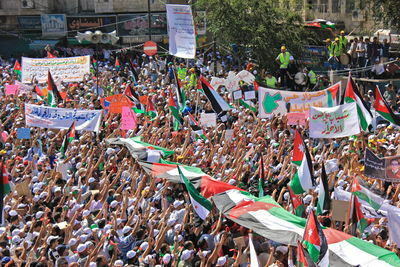 Thousands of Jordanians gathered in front of Al Husseini Mosque in downtown Amman to call for electoral reform after Friday prayer on October 5, 2012. 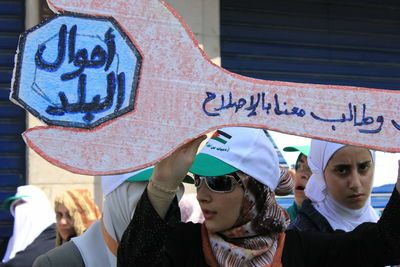 Thousands of Jordanians, including many women and children, gathered in front of Al-Husseini Mosque in downtown Amman to call for electoral reform after Friday prayer on October 5, 2012. Thousands of Jordanians gathered in front of Al-Husseini Mosque in downtown Amman to call for electoral reform after Friday prayer on October 5, 2012.